Something to laugh! I couldn't resist and had to visualise my New Year's resolutions. 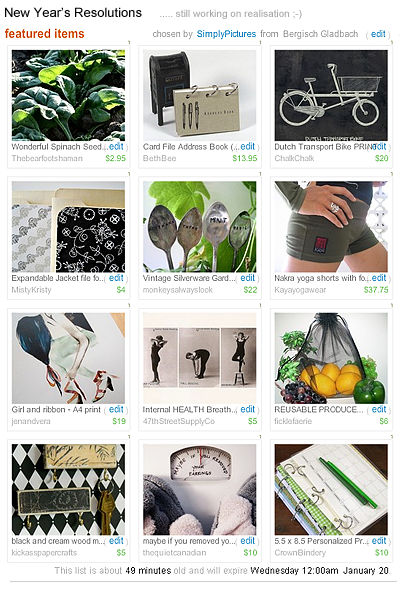 And again I've found some gorgeous Etsy sellers. Jump in as long as this treasury is alive!